The NBA’s Oklahoma City Thunder won’t be the only show in town on November 3rd. Strikeforce has announced they’ll be taking their talents to OKC for the final heavyweight scrap under their banner. 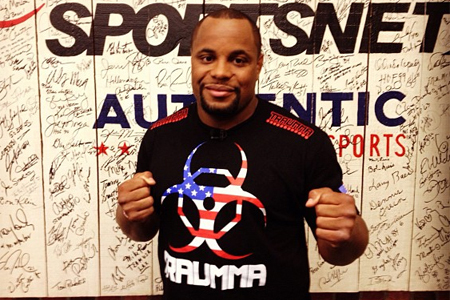 Former UFC champion Frank Mir has volunteered to temporarily transition to Strikeforce to face Daniel Cormier (Pictured) in the show’s featured attraction. Chesapeake Energy Arena, home of the Thunder, hosts the festivities. USAToday first reported the date and venue. Strikeforce confirmed the information on their official website Tuesday. After winning three straight scraps, Mir was violently put down by reigning heavyweight king Junior dos Santos at UFC 146. No other bouts have been confirmed for the lineup.